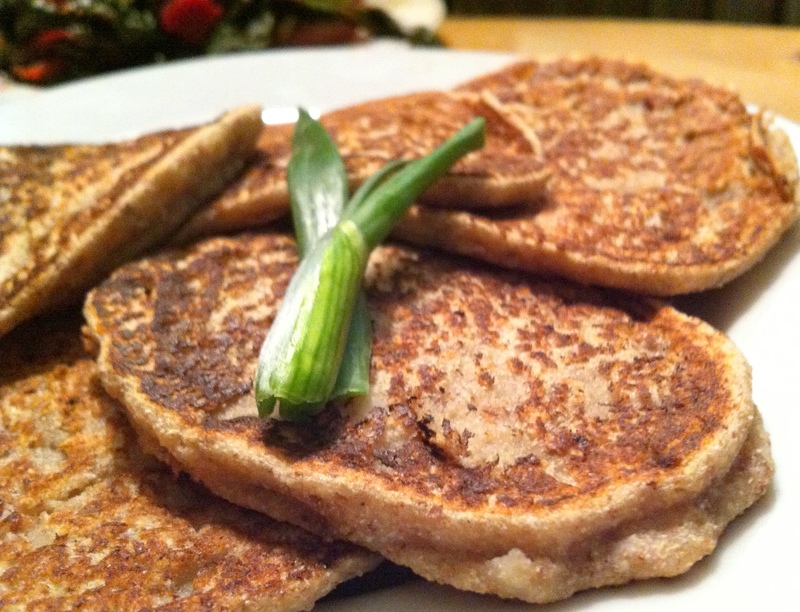 If you’ve never had a traditional blini the concept of a savoury buckwheat pancake might sound a little strange. But when you think of it as chewy, warm, fresh cooked pan bread…things start to sound a whole lot more delicious. I even managed to sneak some extra veggies into this recipe too…cause I just couldn’t help myself. Add water stir until well combined. Scoop batter using a 1/4 cup measuring cup and fry on a lightly oiled/sprayed griddle or pan for 2-3 minutes/side. Whoa, interesting cauliflower in a pancake…. Will have to try that one! Thanks for the variety.